Michael Mina debuts Bardot Brasserie in Las Vegas, and a second Tony C's Sports Bar & Grill opens in Somerville, Massachusetts. 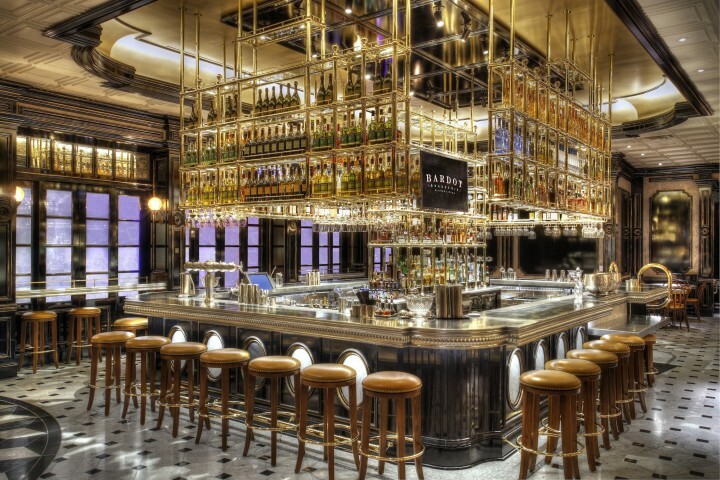 Chef Michael Mina unveiled Bardot Brasserie at the Aria Resort & Casino in Las Vegas in January. A modern interpretation of the traditional French brasserie, the restaurant offers Parisian fare and a drinks menu that includes wines from Burgundy, Bordeaux, Alsace, and the Rhône and Loire valleys. The concept serves contemporary cuisine like escargot in puff pastry shells, a French onion soup with truffle and braised oxtail, foie gras, steak frites, and a variety of seafood dishes (entrées are $23 to $56). The restaurant lists Old and New World wines, boasting more than 25 glass pours ($11 to $40) and 700 bottles ($60 to $250 a 750-ml. bottle on average), along with roughly 70 craft beers and ciders, including imported labels like Nøgne Ø Grimstad, Brasserie Dubuisson Frères Cuvée des Trolls and Eric Bordelet Poiré Granit cider (beers start at $7 a draft pour and go up to $67 a 750-ml. bottle). Bardot Brasserie’s cocktail menu lists drinks ($15) like the Lost Generation, a blend of Paul Beau V.S. Cognac, Paul-Marie et Fils Vieux Pineau des Charentes, Bittermens Hiver Amer Cinnamon liqueur and vanilla. The restaurant’s interior is designed to evoke early film noir movies. Tony C’s Sports Bar & Grill in Somerville, Massachusetts, pays homage to the Boston Red Sox’s Fenway Park. The baseball-themed eatery is the second Boston-area location of the restaurant. 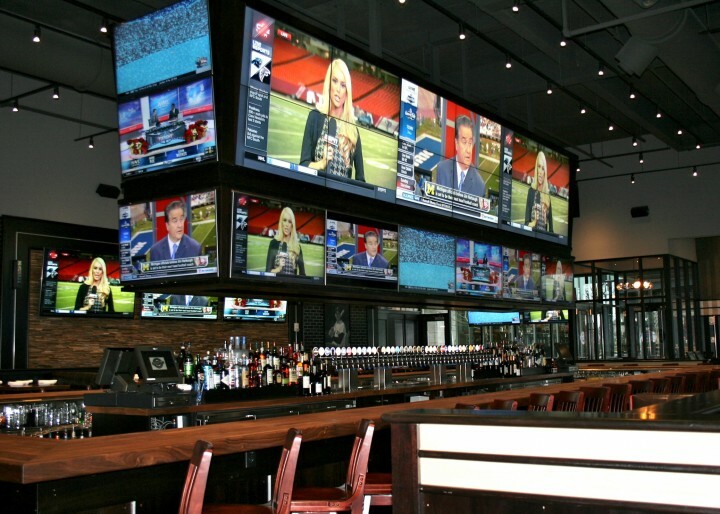 Featuring a Jumbotron above the bar, the venue serves American fare, including burgers, sandwiches, specialty pastas, and fish and meat entrées ($12 to $25). Tony C’s pours more than 40 draft beers, including local labels from Massachusetts and the New England region ($3 to $7). The bar also offers a variety of wines ($6.50 to $12 a glass; $25 to $95 a 750-ml. bottle) and specialty cocktails ($9 to $11) like the Hometown Heat, made with El Jimador Blanco Tequila, O3 orange liqueur, muddled jalapeño, fresh lime and agave. The 11,000-square-foot venue has 90 televisions and an outdoor patio overlooking the Mystic River. Philadelphia’s Kevin Sbraga unveiled his American restaurant Juniper Commons in December. The venue features a menu inspired by the 1980s, with dishes like shrimp cocktail, roasted chicken and prime rib. The cuisine is joined by a gin-centric drinks menu that highlights modernized classics. Following a $29 million transformation, Le Méridien New Orleans opened in December in the space that formerly housed the W Hotel. Along with renovated hotel rooms and the new lobby bar Longitude 90, the hotel debuted LMNO, a destination restaurant that serves New American fare infused with global flavors. The sleek upscale dining destination Spoke & Steele opened in December in Downtown Indianapolis, offering fresh and local American cuisine prepared by chef Tyson Peterson. The menu highlights meat and fish entrées, and the bar emphasizes spirits in an array of bottled and barrel-aged cocktails. Refined modern Mexican and Oaxacan cuisine shines at Tocolo Cantina, a restaurant that opened in Garden City, New York, in December. The venue evokes a modern California eatery and serves traditional and contemporary Mexican fare, along with Margaritas and sangrias.